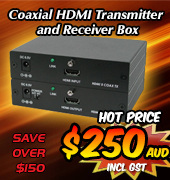 DVI Converters, Switches, Distributors, Scalers are all on special now at Converters.TV Prices have been slashed by up to 50% on selected products with huge savings on others. 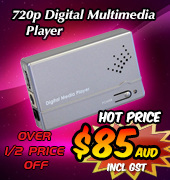 All brand new and with 12 Months Warranty, these DVI products will never be found this cheap again. 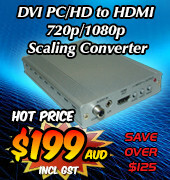 Converters.TV has reduced pricing on all our lines of DVI Converters, Switches, Distributors and Scalers. 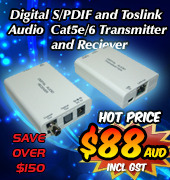 Save loads of money on big ticket items such as Video to DVI Converters, DVI Distributors, DVI format converters, DVI Scalers and DVI over CAT 5/6 long-haul products. All of our DVI products are quality inspected and tested. Compliant to US, European and Australian standards, these products provide a solid base for all Video applications. Our 12 Month Warranty period provides for complete after sales service and support.